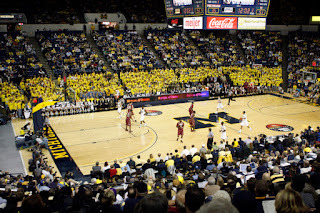 This will mark Part II in my analysis of Michigan basketball's roster for the 2012-2013 season. 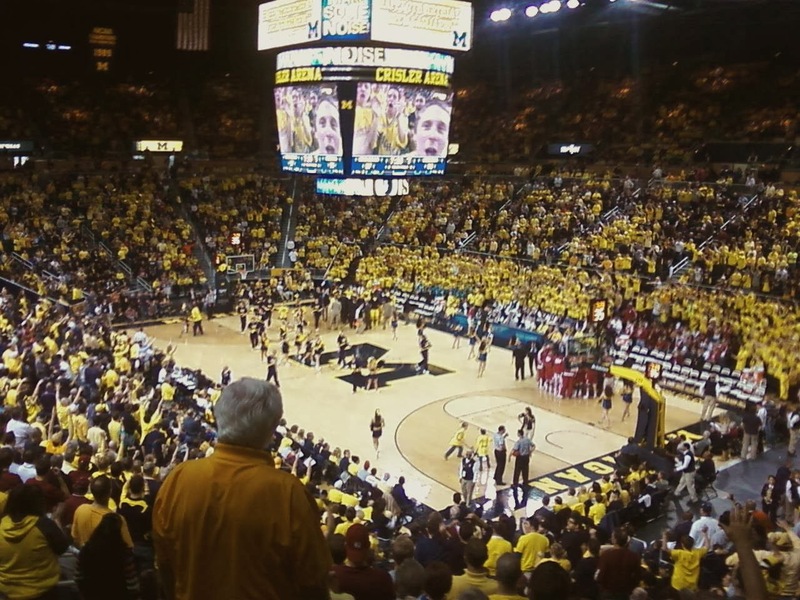 Over these few posts, I'm going to try to make a case for Michigan basketball having the best Big Ten roster next season. Of course, this is highly speculative and can't be factualized, but I do think it's something that's interesting to look at for next year. Teams like Indiana have received a lot of hype for next year, but I'm not convinced that they are going to be as dominant as many assume. I compared the returners for all the Big Ten teams in Part I and I'm going to be focusing on incoming recruits throughout this post. To me, recruiting is something that is always highly subjective. Typically, recruiting sites are pretty accurate with their projections, but there are always mistakes made along the way. Recruiting sites also often forget to figure out how well the player will fit in with their new team. For instance, if a team already has some great returning guards, adding two 5* guard recruits is probably not going to make a large immediate impact. Obviously, it could have some great long-term benefits, but probably not a huge immediate effect. When I took a look at the incoming recruiting classes for the Big Ten, I tried to address some of these issues. Since I am only looking at the rosters for next year, long-term benefits are not something that I calculated. Yes, these aspects are great for the team and something the coaching staff should be looking for in recruits, but not something I'm necessarily looking at in this piece. For instance, if you look at the team recruiting rankings, they're based on pure talent and long-term ability. Mine are based on how big of an impact the players will have next season. With this in mind, we can get started with our analysis. According to ESPN, the top ranked recruiting classes in the Big Ten are: MSU, Indiana, Michigan, Purdue, and Iowa. Along with this, of the ESPN 100, MSU leads with 4 commitments, Indiana, Michigan, and Purdue are each tied with 3 commitments from the list, and Iowa got 2 commits. What does this mean? Well, as I said, these are raw rankings and don't necessarily translate to how they are going to fit with the teams next season, but these are important in general because they can separate at least a few teams from the pack. In fact, only one other Big Ten team has a commitment on the list and that's Wisconsin with 1 player in the ESPN 100. Using this logic and information, we can look at the top 5 recruiting classes for the Big Ten next season. Looking at the table above, a few things become obvious very quickly. The first thing is that Purdue and Iowa's recruiting classes are behind by a big margin. Purdue and Iowa's class rank, ESPN 100 Recruits, and top recruits are all pretty far behind everybody else when factored together. Along with this, Iowa and Purdue's recruits are going to be asked to do a lot more because of their lack of returning talent. Neither of them have even one All-Big Ten player coming back. However, unlike with Iowa and Purdue, there isn't much separation between the remaining classes. They're all within four spots of one another in the team rankings and many of the recruits are even closer than the chart above shows. For instance, MSU's Gary Harris is #11 and Michigan's Glenn Robinson III is #18, but both actually received an identical score (97) from ESPN. Because of these types of issues, I'm going to primarily focus on how the recruiting classes will fit in with their new squads. As I wrote about in Part I, Indiana is returning 5 starters and a ton of talent. Indiana's class is probably just as good as MSU or Michigan's classes for the long run, but their contributions will be limited for next year because of the depth of the team. As a result, I can't say that Indiana will have the most productive recruiting class for the 2012-2013 season. MSU has some solid players returning, but I think some of their recruits, notably Gary Harris, will make immediate contributions. With Thorton graduating, there's going to be an open spot for Harris to take over right away. Will he live up to the hype and get early playing time? I think there's a great chance he does. The other vacant spot in the starting lineup is left by the Big Ten Player of the Year, Draymond Green. It's pretty doubtful that anybody is going to replicate his production, but I think Matt Costello would be the most likely of the recruits to try to take over that spot, but I'm not sure if any of MSU's new recruits will start here. They may certainly come off the bench, but we'll see if they can actually end up starting. 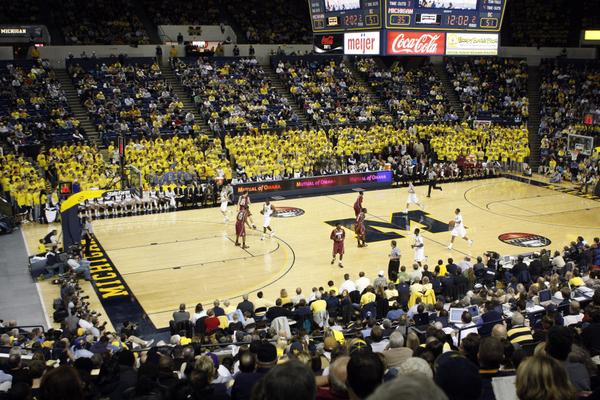 Michigan brings in a few hyped recruits that will have a great chance to play early as well. As I projected, I think Glenn Robinson III and Mitch McGary are going to be starters as true freshmen. This isn't that uncommon anymore, but I think there are some great opportunities for these guys to contribute. I'm a little unsure of how productive McGary is going to be, especially because he'll probably be playing out of position for much of the year, but I think GRIII is going to be outstanding. He is Michigan's highest rated recruit and seems to have to come out of nowhere to be regarded as one of the Big Ten's elite recruits for next season. For the most part, I think Michigan and MSU's recruiting classes are going to be about even for the 2012-2013 season. The one thing that I think gives Michigan's class the edge is the return of many of the team's play makers including the two leading scores, the assists leader, and rebounding leader. MSU loses it's leading scorer, rebounding leader, their best three point shooter (that shot more than like 2 times), blocks leader, steals leader, and the player that was essentially assists leader (Green trailed Appling by .1 assists per game). That is a lot to replace for freshmen to replace. Obviously, they will get some help from MSU's three returning starters, but the hole in the starting lineup for MSU is a lot bigger than the one for Michigan. Using this logic, I believe Michigan's recruiting class will be the most productive during the 2012-2013 season. Once again, I must stress that this only covers next season and that teams like MSU and Indiana have very good classes. The next part of my Big Ten roster analysis will cover 'star' players on each team. So far, Indiana has had the best overall returning roster and Michigan has had the best incoming recruiting class for next season. It's sure to be a competitive year for the Big Ten next season.